The objectives of the study are the bacterial pathogens isolated from sputum including S. pneumoniae, H. influenzae, M. catarrhalis, S. aureus, K. pneumoniae, P. aeruginosa, and A. baumannii; and from the urine including E. coli, P. mirabilis, E. faecalis, E. faecium, A. baumannii, P. aeruginosa, and K. pneumoniae. For each pathogen, at least 30 isolates are collected. 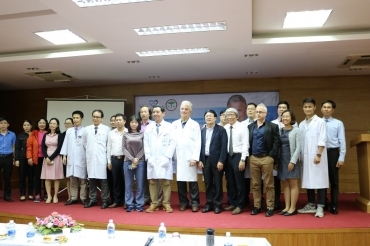 The isolates are collected from different hospitals in Ho Chi Minh City and in Ha Noi for one year (2015). The determination of the MIC of the antibiotics against the bacterial pathogens were carried out by the broth microdilution method following CLSI 2015. To carry-out the MIC, the plates with 96 wells containing the dry antibiotics with serial concentration custom fabricated and supplied by Eiken Chemical Co., Ltd. (Dry Plate Eiken, Tokyo, Japan) were used. 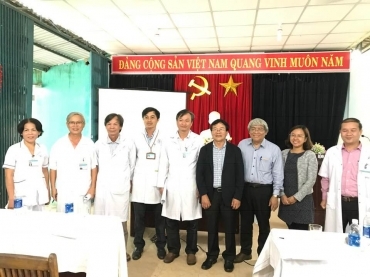 This is the first trial to find-out the in-vitro activity of Sitafloxacin against the different bacterial pathogens isolated from clinical samples in Viet Nam. The results collected from the study demonstrated that Sitafloxacin exhibited excellent in-vitro antibacterial activity against both Gram-positive and Gram-negative bacteria that are mostly encountered in the clinical fields of infections. This result can confirm that Sitafloxacin can be considered as one of the most powerful antibiotics that doctor can use to treat various infections caused by antibiotic resistant bacterial pathogens.